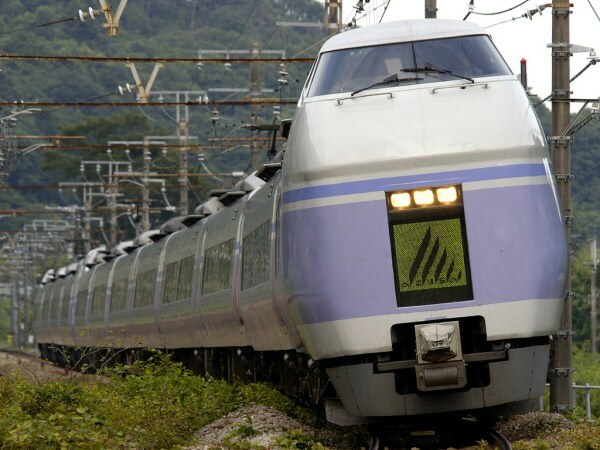 The Azusa is one of JR East's more popular limited expresses, serving many tourists heading to the Nagano area as well as those heading into Tokyo. Though the official terminals are Shinjuku and Matsumoto, some trains terminate at Tokyo Station and some continue on the Shinoi Line after Matsumoto. The name "Azusa" comes from the Azusa river that flows near Matsumoto city. 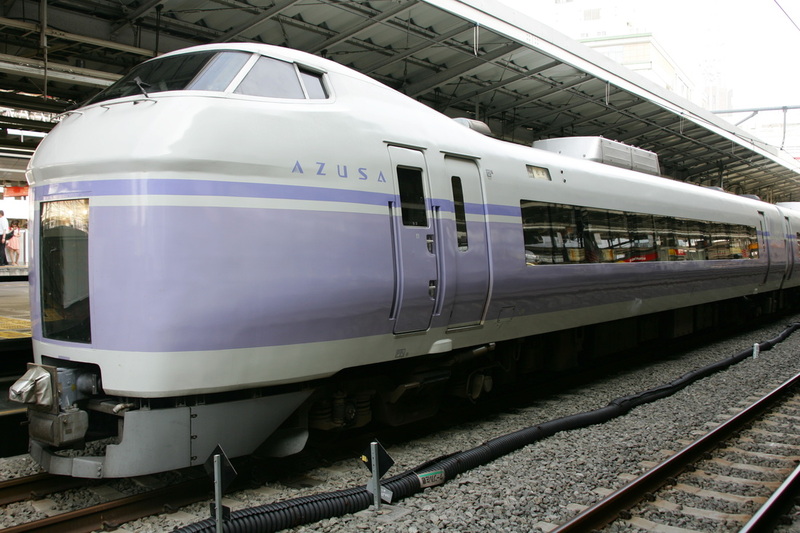 When it first started operating, the Azusa was operated with Series 181 trains which included dining cars but these were replaced as the Series 183 trains were introduced. In late 1993, the Series E351 trains were introduced. These trains were much faster than the Series 183 trains due to their high-tech tilting systems. 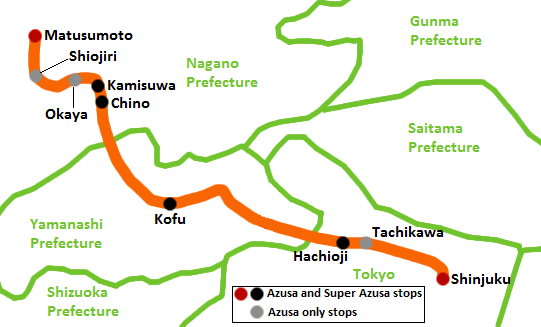 Because these trains could get to their destinations faster than other trains, it was decided that trains operated with the Series E351 would be separated as the Super Azusa. The Super Azusa stops at fewer stops than the regular Azusa. During the 1990's, Series 183s operated as the Azusa were given a new blue and light grey paint job to differentiate them from the other trains. Currently, none of these trains are operated as the Azusa. In 2001, the Series E257 trains were introduced, replacing all Series 183 trains in regular service by 2002. Though these trains are not equipped with the tilting system that the E351 is, they are still faster than the aging Series 183 trains. Series 183 and 189 trains can still be seen though as seasonal trains run during the holiday seasons. Trains in the green and grey Asama colors or beige and red Japan National Railways colors are used for these trains. The Azusa became well known to the population of Japan when the duo called Karyudo released the song "Azusa Nigou" in 1977.